Turning 30 is all too often seen in a negative light. For many people, it signals the end of their youth. Others lament on what they are yet to achieve. At Harbour Kitchen, Melbourne’s favourite birthday party venue, we take a different view. We think your 30th should be about celebrating all that you have achieved and all that is still to come. After all, the 30s are the beginning of the prime of your life, when rewards and opportunities accurately reflect your hard work, and the decades to come offer even greater promise. If that’s not worth celebrating, we don’t know what is! 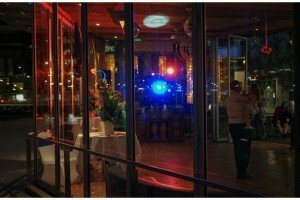 If you are organising a 30th for a friend, a loved one or yourself, choosing a birthday party venue that best fits this important milestone should be paramount. A 30th birthday should be informal with a dash of sophistication, fun with a hint of flair. And that’s where Harbour Kitchen come in. We pride ourselves on offering fun, affordable and elegant birthday party venue hire. There is no area in Melbourne that better symbolises the excitement of turning 30 than Docklands and no better venue than Harbour Kitchen to celebrate at. Docklands is a waterfront suburb that is young yet highly developed, has reaped the rewards of the innovative and fresh thinking of urban planners and developers and is full of promise for the future. 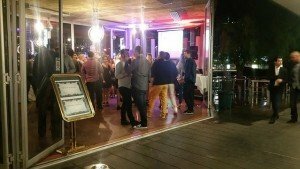 As a 30th birthday party venue, Harbour Kitchen epitomises these characteristics. We take full advantage of the beautiful harbour setting with our function rooms and waterfront beer gardens. We enjoy the convenience of being located within minutes of the city centre in a thriving yet serene environment. And we complement our magical setting with practical and attentive service, delicious food and beverage packages, and affordable prices. Turning 30 is a momentous occasion and calls for a birthday party venue worthy of the celebration… And Harbour Kitchen offers exactly that.